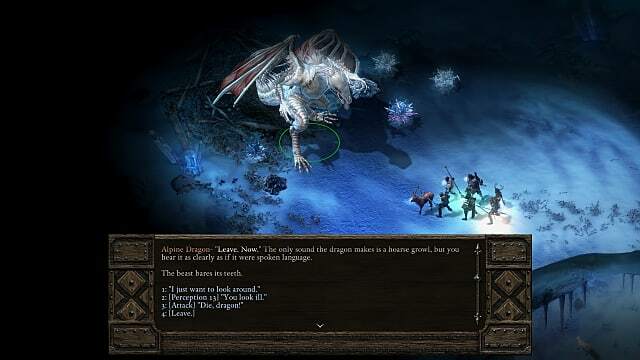 As anyone who played Baldur's Gate or other Infinity Engine games from the 90s knows, Pillars of Eternity was a wonderful nostalgia-fest. It hit all of the comfortable beats one would expect from an isometric RPG: pause-and-play combat, chatty companions with personal quests, and A Great Evil Overtaking The Land. However, it could have been even better. 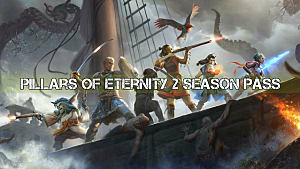 With the announcement that Pillars of Eternity II: Deadfire has blasted through its Fig target, the sequel is very much set for a return to Eora. 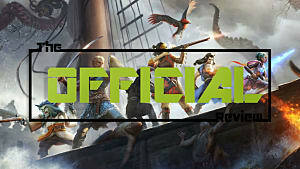 As many backers, fans, and those who simply enjoyed the first game will know, there's no such thing as a perfect game. But there were certain niggles and a few gripes that we couldn't help noticing. They weren't enough to spoil the experience, but they detracted from an otherwise great game. 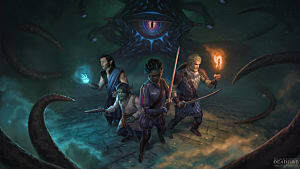 These are the main issues that we're hoping Deadfire will address. I honestly lost track of the number of times I stumbled into yet another group of bandits or animals while trekking around Eora. If the combat had been thrilling, it wouldn't have been so bad. The opposite, unfortunately, was true. Rather than offering exciting visual feedback in battle, players were treated to a succession of similar animations of arms being moved up and down. Simultaneously, masses of text filled the bottom right of the screen displaying deathly dull statistics about the number of seconds and fractions of seconds that particular ailments had been inflicted upon you or your enemy. The spell effects were nice enough, but the weapons were so convoluted and bogged down in needlessly complicated statistics that it was near impossible to accurately compare and contrast which of your three oversized swords was the best to use. 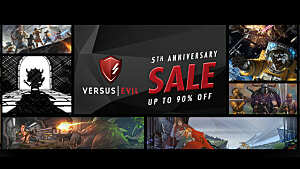 Tyranny used the same engine, changed very little, and had the exact same problem. 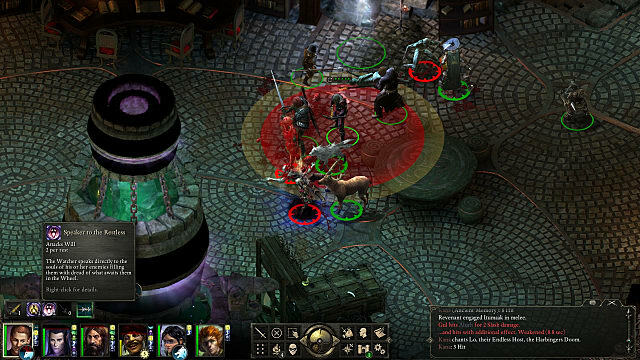 Deadfire needs to strip back the unnecessary stats, clean up the interface, improve the visuals and make combat fun again. For the most part, PoE's voice acting was fine. Some of it crept into the realm of caricature -- I'm looking at you, Durance -- but it was generally acceptable. The biggest bugbear was one that also appeared in Tyranny: the voiced text was sporadic. Sometimes the characters would speak, sometimes not. You may get halfway through a conversation and find that the developers had decided not to bother recording the rest of the speech. The first time it happened, you probably had to check if there was an issue with the game. There wasn't -- it was just a whole heap of text that was unrecorded. It made for a jarring experience and caused some people to simply ignore the voice acting entirely and rely on plain, old-fashioned reading, like humanity used to do before the advent of social media and an increase in ADHD. If Deadfire is going to be voiced, I really hope that it will all be voiced...as unlikely as that may be. The snippets of people's history -- gleaned by talking to them and reaching out for their souls -- were great. 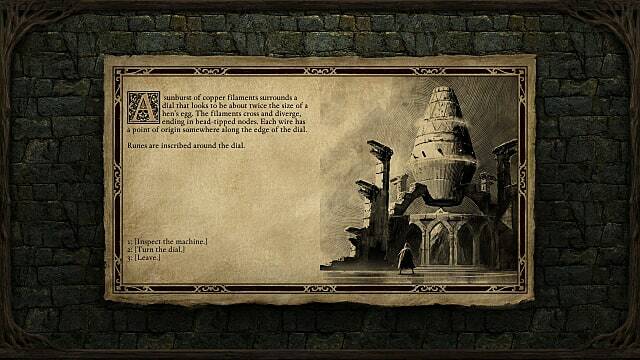 Well-written, often disturbing and unusual, they offered something different to the usual bland NPC interactions you often end up having with locals, as you wander around town. Sadly, snippets were all they turned out to be. There was no agency involved, just a story that you read and then moved on from. It seemed like a huge missed opportunity. Given the Watcher is returning in Deadfire, there is a huge opportunity to make these stories more interactive. 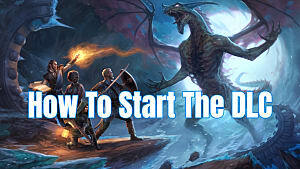 Whether it's by using the information in a snippet to help solve (or be given) a quest, determine the truth or lie spoken by a particular NPC, or even jump back in time into that NPC's past and possibly alter their future, there is massive scope for doing something with this mechanic. I love the idea; I just want to see it reach its full potential. I may be in the minority, but I didn't find the cast of the original game particularly memorable. The ones I did find memorable were for the wrong reasons -- yes, Durance, again. I get it, you like fire. Let's move on, eh? Everyone was so damned earnest. It felt at times that humor was something that ended up sidelined, and it was to the game's detriment. 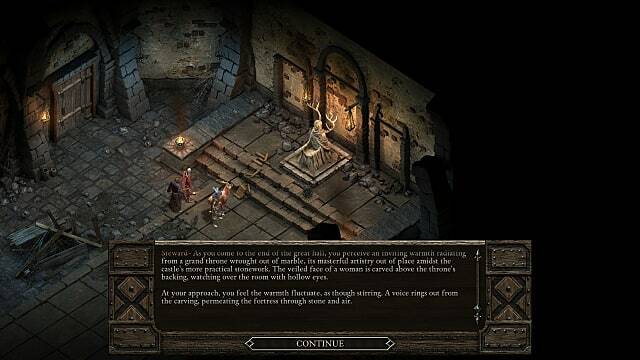 As Baldur's Gate and Planescape: Torment showed us, it is entirely possible to include a befuddled man with a pet giant miniature space hamster or a wise-cracking floating skull, and still have a story which holds up. The characters don't need to be winking at the camera, but humor is part of humanity's package. Without it, it really doesn't matter how grandiose the task you complete is, or how brilliantly you saved the world. You're still going to be leading a miserable party. And what of each character's backstory? 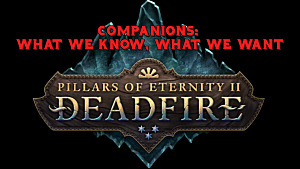 It has been confirmed that Eder, Aloth, and Pallegina will all be returning, which is a little concerning as their companion quests in the first game were all fairly forgettable -- especially Pallegina's. I really hope that the new additions add a bit more spark to an otherwise mundane cast. Where games like PoE struggle the most is almost always with the antagonist. For every Jon Irenicus, there's a Belhifet. Tyranny at least tried to do something interesting with the situation by creating an all-powerful overlord to a scale that hadn't really been seen before in a similar game -- but then refused to follow expectation at the end. In some ways, I respect that more than just finishing the game with a big dragon, or a bland, powerful mage. 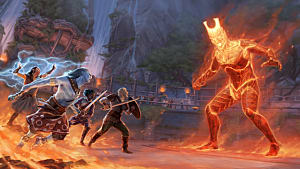 Rather than just ending in yet another climactic battle where your party battles one transformed evildoer or another for twenty minutes before the credits roll, I'd love to see Deadfire do something different. Planescape: Torment showed that you didn't even need to fight in order to beat the game. Not every RPG needs to be like a season of Buffy with layers of Big Bads being peeled away over the course of the running time. Sure, throw in some tough fights at intervals -- but make them interesting. 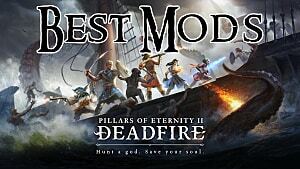 Which elements of Pillars of Eternity are you hoping are most improved for Deadfire? Let us know in the comments!